Stern Mold is part of the Stern Environmental Group, located in Secaucus, New Jersey. Stern Environmental has been serving commercial and residential clients in the New Jersey, New York City, and Long Island area since 1995. Stern Mold is an expansion of the Stern Environmental network. Starting out as a commercial pest control service firm, Stern Environmental has expanded its service offerings into bed bug extermination; some areas of residential pest control and now mold treatment. Review our press release announcement. With a reputation for quality and dedicated, knowledgeable service personnel that you can trust, Stern Mold provides free mold inspections and price quotes, and guaranteed mold extermination treatment. The MoldExterm products we use offer a comprehensive mold-free warrantee. Ask our service techs for the details when they provide your free inspection and estimate for treatment. Managing Partner of Stern Environmental Group LLC, Douglas Stern is the firm’s founder and visionary as well as founder of Stern Mold. He is an expert in the pest control area and a published author online and for print publications on bed bug extermination. 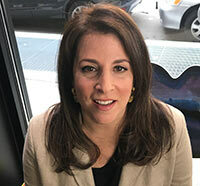 Pamela Stern is the Director of Sales for the Stern Mold. She has a Bachelor Arts Degree in Business from Syracuse University. She has strong corporate sales experience; having worked on Wall Street for the past 24 years. Pamela Stern is ready to help resolve your mold problem. She is a Licensed NY State Mold Remediation Contractor, a Licensed NY State Mold Assessor, Certified Environmental Hygienist, and Professional Industrial Hygienist. She has the training and skills to create a customized mold treatment program using our patented MoldExterm system to quickly resolve your mold problem. Mrs. Stern is a member of the National Organization of Remediators and Mold Inspectors (NORMI). Pamela is also a Certified Mold Assessor and Certified Mold Remediator by the National Association of Mold Remediators and Mold Inspectors. Call us at 888-887-8376 when you are ready to get "STERN" With your mold! 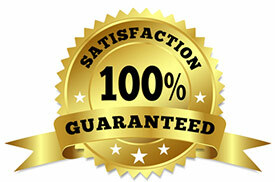 We offer a free mold inspection and price quote. Seeing is believing! Take a peek at some of our recent MoldExterm client photos. You'll be amazed at how MoldExterm gets rid of serious mold problems fast without drywall tear out and significant downtime. See the MoldExterm Gallery Now!